Estate Planning attorneys in Minnesota at the law firm Tarshish Cody and attorney William Siegel can help you plan for the inevitable, whether that day is anticipated or not. Attorney William Siegel listens carefully to understand our clients' wishes and uses his 20 years of experience to properly draft the paperwork to ensure the clients' goals are achieved when they are no longer here. 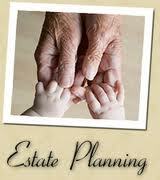 There are many pieces to estate planning. Estate Planning Attorneys at our law firm Tarshish Cody and attorney William Siegel do many types of estate planning work for our clients, including drafting wills, power of attorneys, health care directives, creating trusts, drafting real estate transfer upon death documents, as well as other common estate planning documents. A growing number of our clients are asking us to help ensure their real estate and closely held business remains in the family and to make sure their children and/or spouse avoid unnecessary taxes on their estate. Regardless of the size of your estate, please contact us today to set up a free consultation to see how we can assist you with your estate planning needs.